This year's goal is to take care of my body through exercise, healthy food, and right skincare regimen. Easier said than done, but I think that a lot of you set similar goals and if we support each other it would be easier to accomplish. With that said in this blog post, I want to concentrate my attention on skincare. With an ocean of brands out there I personally know that it's very easy to get lost. So today I want to share products I tried and loved. 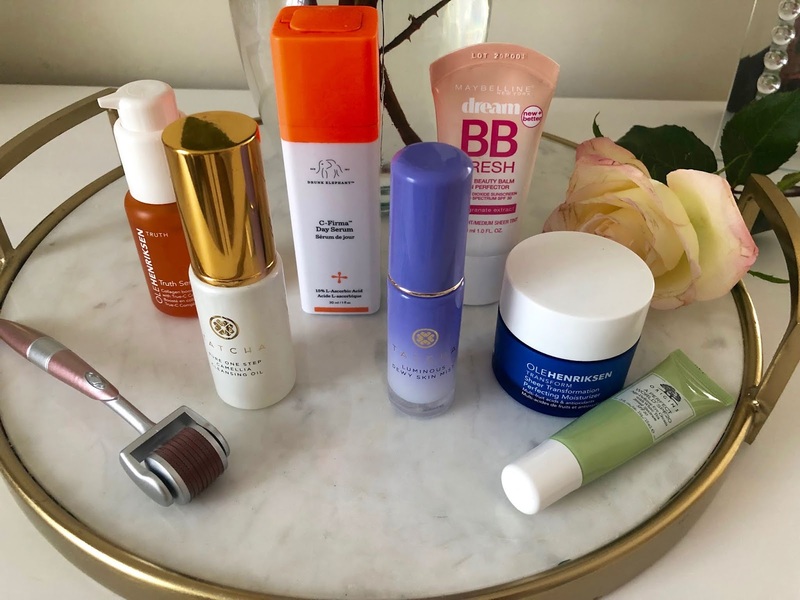 From the headline, you know that in this post I will cover products I use in the morning. So without farther ado, lets begin. First thing I do when I wake up is drink lemon water. Aside from helping with digestion, hydration, immune system lemon water is also a popular remedy for many kinds of skin problems ranging from acne, rashes and wrinkles to dark spots. I used to drink it years ago, but then stopped when I had my daughter. Happy to be back on track. After that, I go to my bathroom and start washing my face. 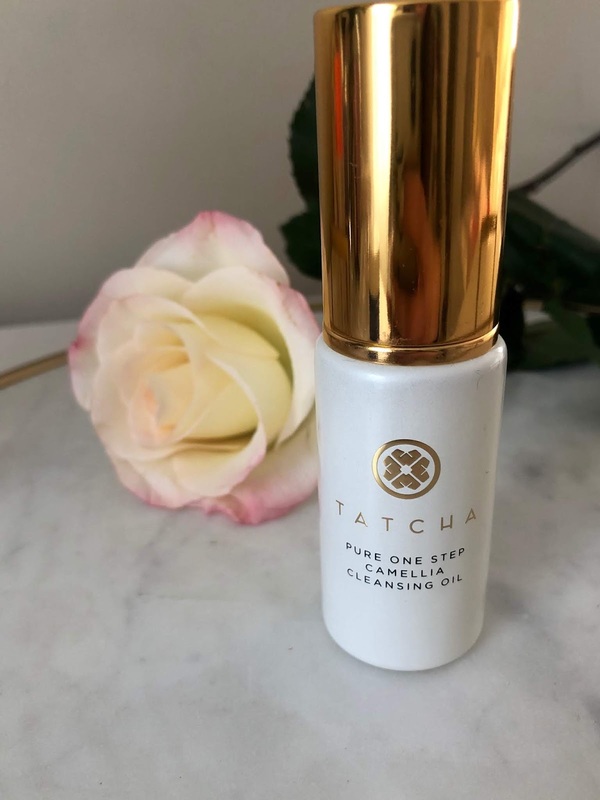 Somedays I just wash it with cold water, and others when I feel that my face is oily I use Pure One Step Cleansing Camellia Oil by Tatcha. It has a fishy scent, but it doesn't bother me, and it leaves my skin smooth and clean. Next step is serum. My most favorite serum is C-Firma day Serum by Drunk Elephant. It gives my skin an instant glow and evens out skin tone. 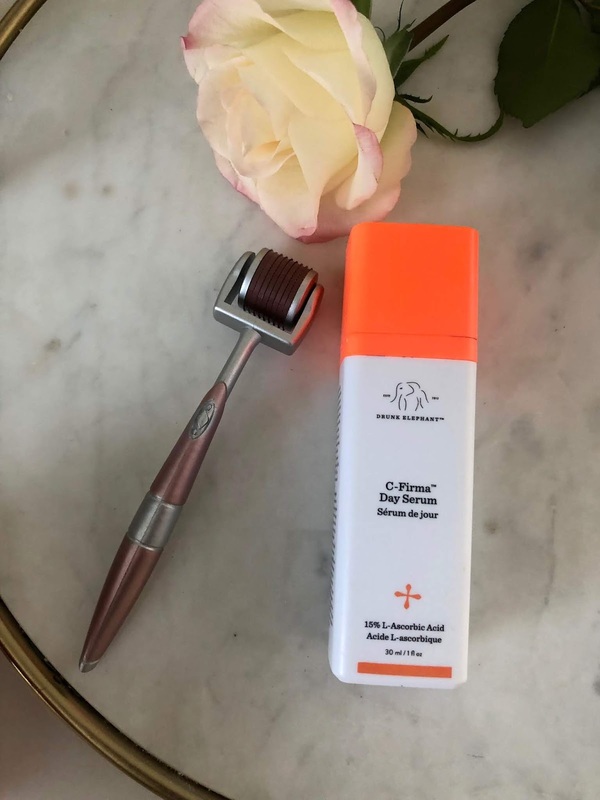 After I apply the serum I use Micro Needle Derma Roller to gently roll across the skin in all directions, playing special attention to forehead, chin, and cheeks. It helps boost absorption of serum. I can't link exact roller because I purchased mine at TjMaxx, but here is one from Amazon. I used Drunk Elephant serum all Summer and Fall, but to keep my skin hydrated in the winter I added moisturizer. 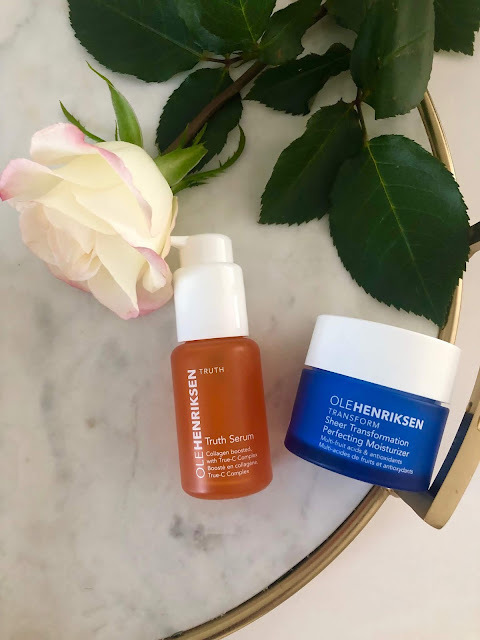 Years ago during a facial, my esthetician told me that I should stick to one skincare brand because some brands have ingredients that not compatible with each other. For that reason, I switched to Olehenriksen Truth Serum and Olehenriksen Sheer Transformation Perfecting Moisturizer. This combo keeps my skin hydrating and glowing and both of these products cost as much as one Drunk Elephant serum. One of the most important areas that women sometimes neglect to take care of is under eye area. The skin is very soft there and regular moisturizer wouldn't cut it. 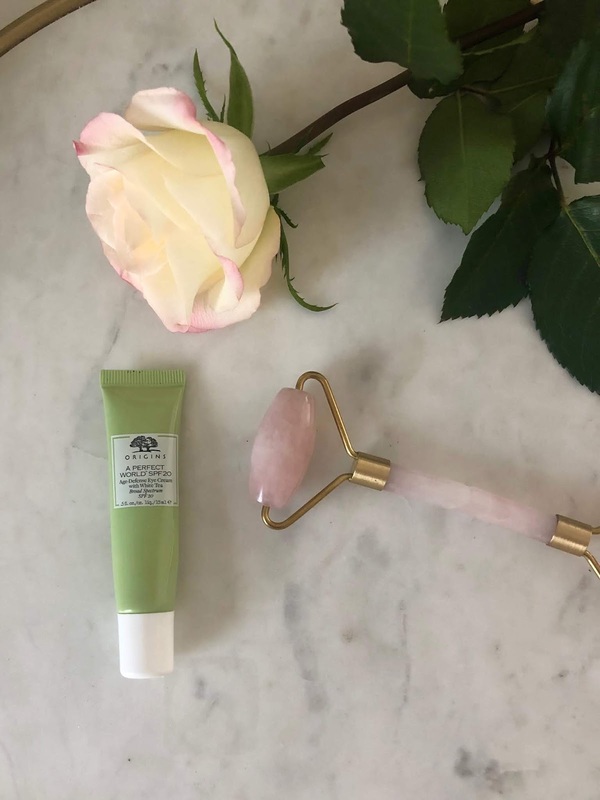 I use Origins A Perfect World SPF 20 Age-Defense Eye Cream with White Tea. It helps with aging and has SPF, so in my book, this product is the bomb! Occasionally, when I have dark under eyes or puffiness I use Rose Quartz Roller. 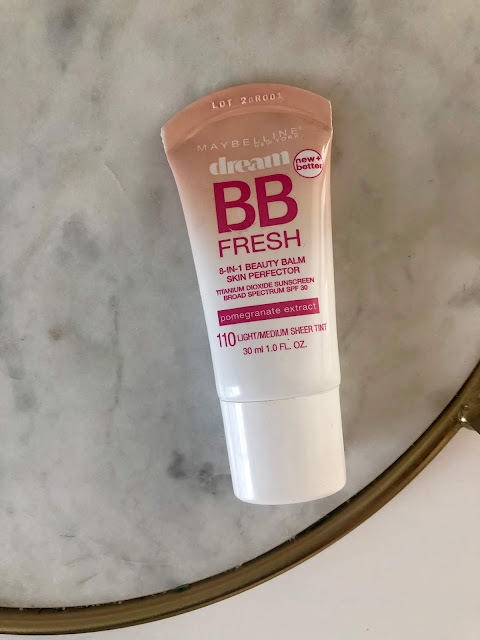 Since my moisturizer doesn't have SPF and it's very important, even in the winter, I use Maybelline BB cream. I've been using this product almost every day for years. Even after I tried more expensive brands I still was coming back to it. It blends perfectly with a skin tone and gives a little tint to cover imperfections. In summer I use Medium and in winter Light/Medium Sheer Tint. 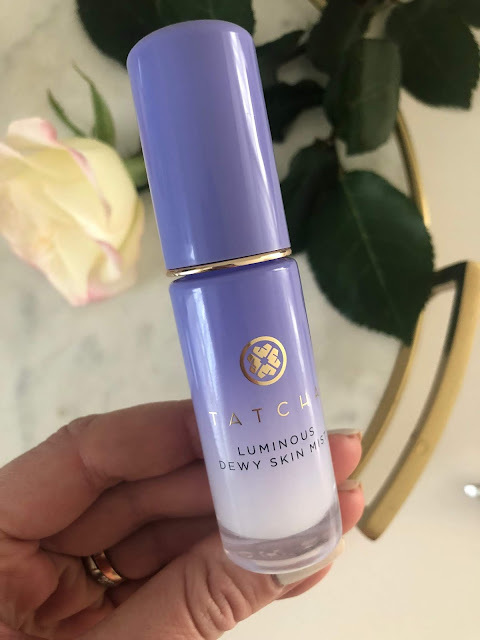 The last step before I start to apply makeup is Luminous Dewy Skin Mist by Tatcha. I mist 2-3 spritzes onto face for a boost of hydration and glow. You can also use it over makeup during the day.